Through our recent survey, we found out that many readers of our blog and listeners of our podcast are non-vegetarians who lean towards eating mostly plants. If you are one of them and thinking about making a full switch to plant based eating this info is for you. First of all we have been so conditioned that we have to eat crazy amounts of protein to stay healthy and lean. Adapting to a plant based lifestyle you will not only get all the protein you need, for the first time in your life you won’t suffer from an excess of it! It helps to overcome the common misconception that meat and animal products ( dairy, eggs) have the monopoly on protein. In fact, almost all foods (except alcohol and sugar) contain protein. A half-cup of beans even has about the same amount of protein as one ounce of meat. To get all of your essential amino acids, focus on eating a variety of protein-packed plants, including lentils, beans, nuts, seed, green leafy veggies such as kale, swiss chart and collard greens. Still skeptical? Look around you and tell me the last time you saw someone who was hospitalized for a protein deficiency. Or look around in nature, where you will notice that the largest and strongest animals, such as elephants, gorillas, hippos, and bison, are all plant eaters. The bonus for plant based eaters: Vegetarian/vegan diets tend to have higher levels of fiber, magnesium, potassium, folate, carotenoids, flavonoids, and vitamins C and E than omnivorous ones. Today more then ever before we are exposed to many athletes achieving incredible things all powered by plants. If vegetarian athletes Venus Williams and Carmelo Anthony can cut out meat and stay on top of their game, you can certainly fuel your workout on plants. How about Martina Navratilova, the world’s winning-est tennis player, who fuels up on plant-based foods exclusively. Or what about plant-devouter Dave Scott, six-time winner of the famed Hawaii Ironman triathlon. And the list goes on…. Speaking from personal experience – once I completely cut out animal products from my diet in few short days I have noticed big changes! I was able to lift heavier weights, had more energy and stamina during my training, recovered faster and noticed serious changes to my body composition. I want to stress that you have to follow properly balanced plant based diet, with variety of whole plant foods to get the full benefits. Not all vegetarians are slim—or healthy for that matter. I often talk to vegetarians who eliminate meat, but continue to eat highly processed foods and therefore are not getting the benefits of a plant-based diet. Truly all they do is skip the meat and double on the unhealthy carbs (pizza, fries, pasta, bread….) So when you sub out meat, make sure a plant, not processed junk, takes its place. If you start comparing healthy eating to the typical North American Diet sure, produce comes with a price tag. BUT… at three-plus bucks per pound, meat is one of the priciest groceries money can buy. Unhealthy food is indeed often more accessible and cheaper than healthy alternatives. Unfortunately, it’s these very foods that make us unhealthy and overweight, causing all sorts of INCREDIBLY expensive medical problems down the road. The exact opposite is by far more of the truth! Most people—especially if they cut out processed foods—actually have more energy after switching to a plant based diet. Think of high-fiber and nutrient-heavy plant foods as the big logs in the fireplace that burn for hours. Think of low-fiber and nutrient-light foods such as simple carbohydrates as crunched up newspaper that once in your fireplace it burns up in a flash. No meat doesn’t mean no fun. Once you break out of the “I’ll just have a salad” mentality, and experiment with new produce and preparation of your food, plant based recipes can be anything but repetitive. If your menu is stuck, consider taking a vegetarian cooking class. 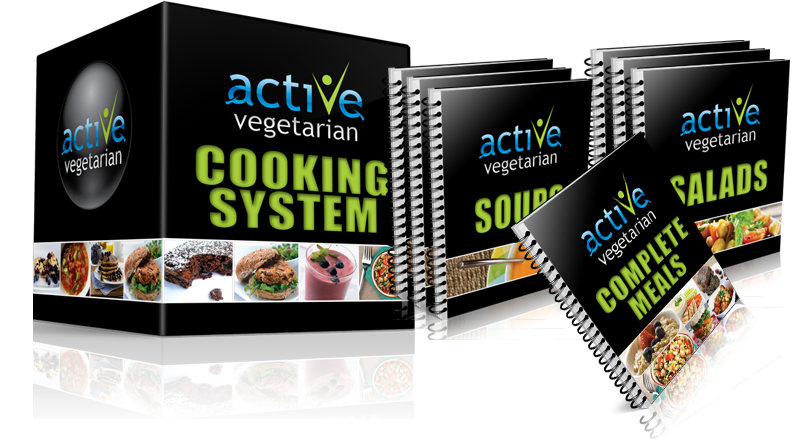 Also check out our AV cookbook for super simple plant based recipes that will satisfy your cravings for sure! One of the beautiful things about clean eating is that it will become extremely delicious and satisfying. The longer you’re on a plant-based diet, the more your palate will change. Think about milk, for instance. Since it’s well known that whole milk is not good for you, you’ve probably cut back to 2% or skim. At first, I bet that skim milk tasted like water. Then you became accustomed to it so when you tried whole milk again, it tasted weird. Your palate had changed. Trust me, food tastes better without being dunked in butter, drenched in margarine, or saturated with sour cream. Plant-based foods are absolutely satisfying. Without all the extra fat and processed flavors masking them, you’ll finally get to experience the true taste. Mmmm just thinking about nice juicy orange, beautiful red bell pepper or fresh cilantro in my salad – all these foods bursting with flavors makes me salivate. Cutting your meat and dairy habit (even just a little) could cut your risk of cancer, diabetes, and heart disease. In fact, a 2009 study in Archives of Internal Medicine found that if women were to eat only 9 grams of meat per 1,000 calories, 21% fewer women would die of heart disease. Sometimes a shocking change is exactly what you need to change your old habits. 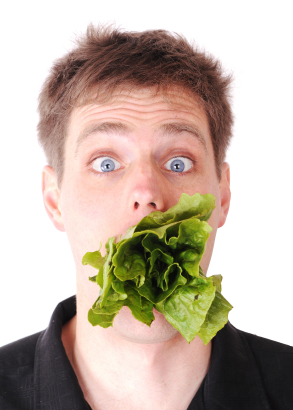 But for many, going completely vegetarian or vegan all at once could be too much. If you’re more of the go-big-or-go-home type, I say go for it. But if that doesn’t work, give phasing out meat a try before you give up. Even if you decide to go full-veg for health reasons, it’s OK to give in and have a slice of turkey on Thanksgiving. Meat substitutes are often full of sodium, preservatives, and additives, not making this a healthy choice. Focusing on eating whole, real foods is the goal. If you choose to add tofu, meat substitutes and pre-made meals to your diet just be sure to read food labels carefully. What BS!!! You’ll be pilling away the nutrients like never before, improving your health, and reversing disease. The very best quality vitamins, minerals, antioxidants, phytonutrients, enzymes, co-enzymes, fiber, water, protein, carbohydrates, and fats come from fruits and vegetables. They are complete nutritional packages and provide the body with everything it needs to function properly. Of all foods, fruits are richest in vitamins and water, and second richest in minerals and fiber, while vegetables and leafy greens are richest in minerals and fiber, and second richest in vitamins and water. All nutrients come in the proper proportions and ratios that the body can utilize optimally. No man-made vitamin tablet or other supplement can compare with nature’s handiwork. To end this post all I want to say is …If I could make a single dietary recommendation to people looking to get healthier, it would be to move to a plant-based diet. Eating plants has been the best change I’ve made in my diet. Plants have made me slimmer, healthier, stronger, more energetic — and an overall better being. I understand, the diet is simple, but moving away from the Standard American Diet to a plant-based one isn’t always so simple for most people. Changing your diet can be difficult, but remember Nikki and myself are here to share and help and support you through the change.